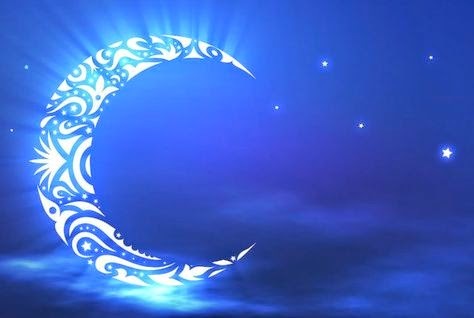 The Holy Month of Ramadan is in full swing, and Billions of Muslims around the world are observing the ritual of fasting. It is a time of self-reflection and control, which calls for strictness in schedule for fasting, praying, and other routine tasks. Keeping up with all of that can be made easier with the use of some mobile apps, which will make your life much more simple. Here are the top 10 Android and iOS apps to get in this Ramadan Kareem. 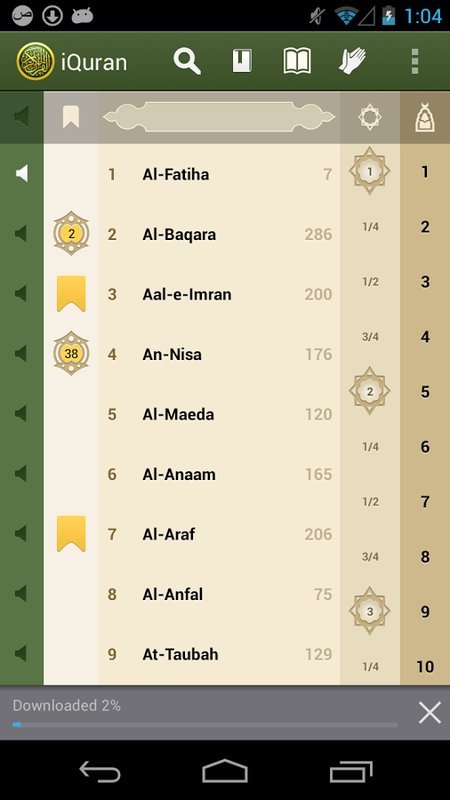 One of the best Quran reader applications for smartphones I have come across. You can use it to read the Holy Quran in a beautiful and easy-to-read Arabic font, along with its translation. It provides verse by verse audio playback with several translations and reciters available. You also get color-coded Tajweed for easier reading. 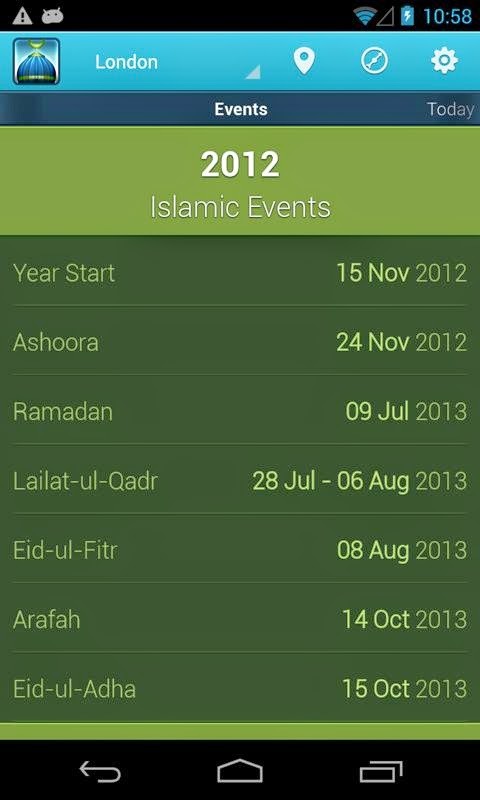 This app provides various customization options, which make it the best app to have for all Muslims. Quran audio is an amalgam of the best Quran reciters in the world, and amazing user-interface, a host of customization options, and a great set of features. If you like to listen to Quranic audio, this is a must-have app. 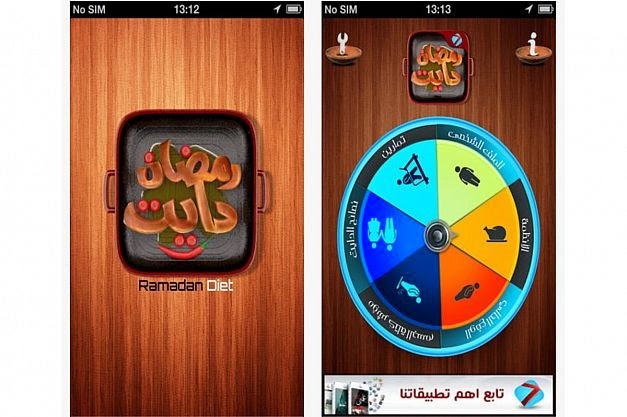 One of the most popular Ramadan apps with Millions of worldwide users. 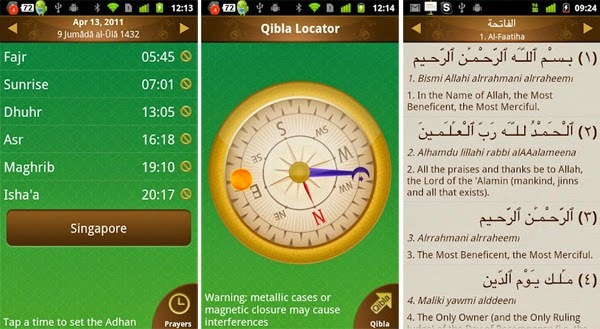 This app provides you with a prayer time calculator, along with fasting times according to your current location. It also prompts you with visual and audio reminders, and provides translations and audio recitations of the Holy Quran. You can also view a map and list of global halal restaurants, mosques and also view an Islamic Hijri calendar. This is the ultimate tool for getting accurate prayer times and Qibla direction no matter where you are in the World. It uses GPS to determine the direction of the Qibla and your location, and then tells you the prayer timings accordingly. For high altitudes, it will adjust the timings accordingly. With the LiveView, you can see Sunset and moon-rise, and see all the different moon phases right on your mobile phone! 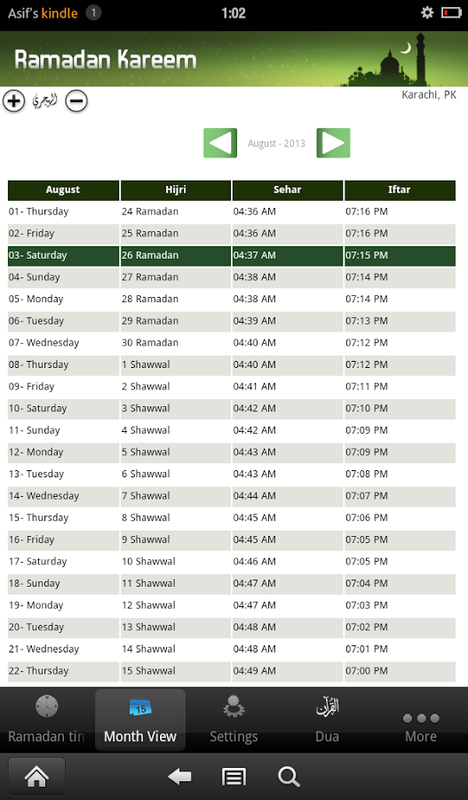 Are you travelling abroad, and not sure what the sehar/iftar times are? No matter where you are in the world, this app will keep you on the perfect sehar/iftar time. It’s a universal daily Ramadan app that accurately calculates the times for sunrise, sunset and twilight for every part of the world. There are options for calculations of high latitude times as well. Ramadan is the best time of the year to offer your prayers and supplications to Allah. If you don't know many supplications and Duas to make during Ramadan, worry not! There's an app just for that! The Ramadan Duas apps contains authentic Dias for all three Ashras of the month, and many more! You can get the Arabic text, English translation and even transliteration. 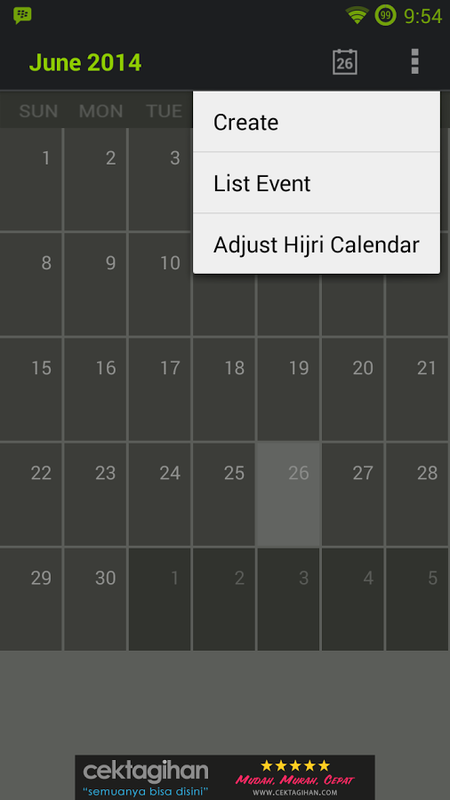 This is a simple educational app that covers all the basic fasting principles of Ramadan and helps you stay on schedule during the Holy month. Furthermore, this app provides info on Ramadan, including authentic ahadith. Worried about all that cholesterol you might be getting from those delicious iftar snacks? Or maybe looking for new recipes to try out this Ramadan? This app is all you need! It'll help you observe a strict Ramadan diet, and will teach you new completely halal recipes with recommended food quantities during the day. This is a little to-do application that will help you remember to do good things during this Ramadan! Whether it be feeding a poor/homeless person, sending your neighbor an iftar snack, or praying all five prayers of the day in a mosque, you can keep track of all the good things you have, and can do this Ramadan.